Possessing 32 sq. 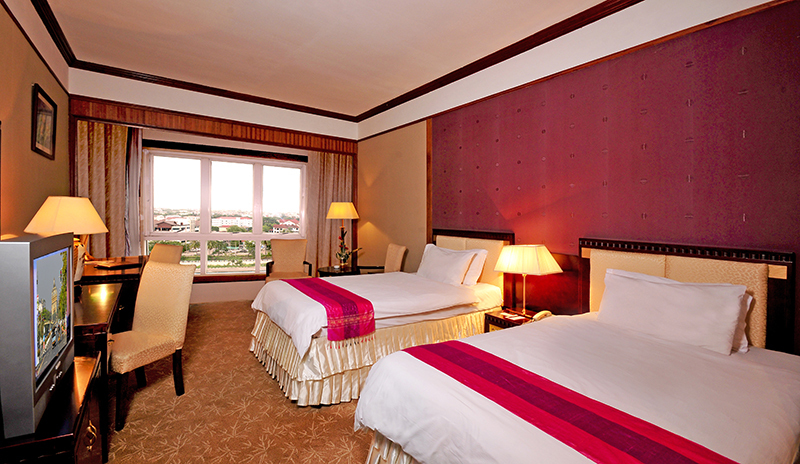 meters, each Classic City View room offers panoramic views of the charming Vientiane city. Each room is equipped with a deep long bath complete with luxurious amenities, individually controlled centralized air-conditioning, IDD Calls with bathroom extensions and voice mail, in-room electronic safe, mini bar with coffee/tea making facilities, computer ports and high speed internet access for a comfortable and relaxing stay.